Last Monday, the Josef Ressel Centre for Phytogenic Substance Research was officially started with a big opening ceremony at the Wels Campus. This JR-Centre is dedicated to the research and analysis of phytogenic substances to increase the health of humans and animals. Particular attention is paid to the identification of bioactive plant compounds. 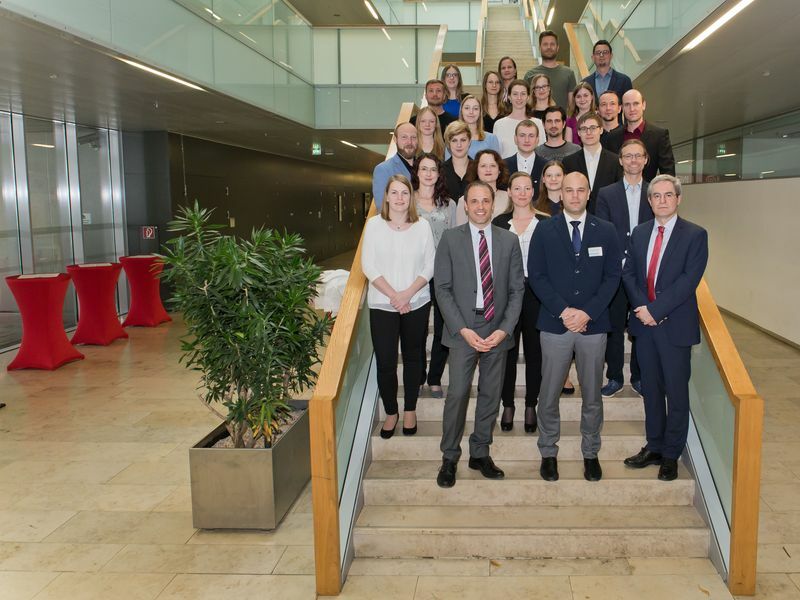 As we are also partners of this centre, Hannah, Jonas and Stephan also participated in this ceremony; within this JRC we will develop algorithms that enable the efficient analysis of fluorescence microscopy images for the study of bioactive plant compounds.